Motherhood University has the vision of being the global university with world class facilities providing quality education accessibility by the students. The university produces research based education to the students for professional and personal excellence. The mission of the university is to provide development of standard professionalism with leadership and managerial qualities. 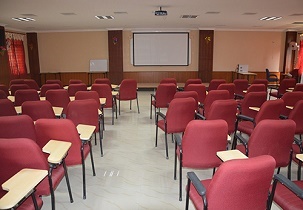 The students and faculties are provided with flexible environment for learning to improve research and learning. The curriculum offered in the university is designed in order to help the students meet the international and national challenges in the industrial sectors. The research conducted in the university provides the students with knowledge for the improvement of life standards. The Placement cell of the university conducts personality development program, workshops, seminars and guest lectures by famous entrepreneurs to help the students improve their employability skills. The students are provided with pre placement talks with the organization to know the vacancies and requirements in the industry. ITC Limited, NIIT Technologies, HCL, IBM, Snapdeal.com, Tech Savy, Wipro, Tech Mahindra etc. visit the campus for hiring the meritorious students. The rooms in the hostels are ventilated, well furnished, maintained and cleaned regularly in order to maintain the hygiene of the students. The canteen has quality officer to check the quality of the food before serving it to the students with many varieties. The fee for hostel and canteen facility is included along with the academic fee which is paid to the university every semester. 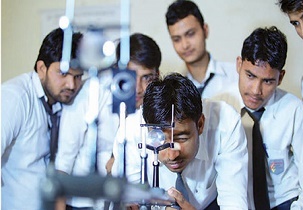 The students who are aspiring to join the B.E/B.Tech courses offered with various specializations have to clear the entrance exam like JEE Main conducted every year at national level. Students in order to get admissions in the university for M.E/M.Tech courses have to clear the GATE exam. For MBA courses with various streams the candidate has to score good rank in the GMAT, CAT and XAT exams. When I joined this college i was scared due to ragging and all but basically there was nothing as such instead I was surprised because the faculties and the co students were very helpful and friendly. It is one of the amazing colleges in India and it is situated in heart of the city with all the facilities and best amenities. 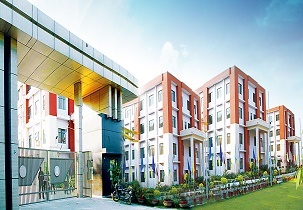 With the modern architecture the college has beautiful infrastructure and campus has lush green environment. Write Your Reviews on "Motherhood University"
Are you Interested in " Motherhood University"? Please provide the following details. Ask Question on "Motherhood University"?